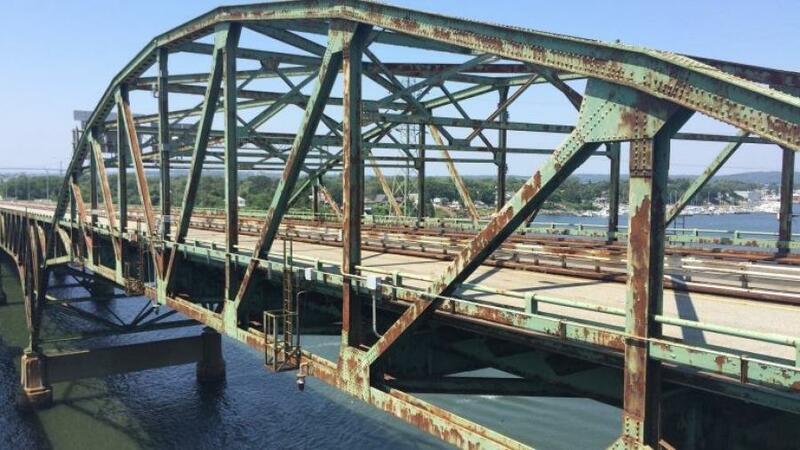 The Rhode Island Department of Transportation (RIDOT) announced an updated schedule for temporary closures of the channel on the Sakonnet River where it passes underneath the old Sakonnet River Bridge in Tiverton and Portsmouth. The closures began on Nov. 27. Vessels are unable to enter or pass through the channel while bridge demolition activities are under way from 6 a.m. to 6 p.m., Monday through Saturday. With later boating restrictions, RIDOT hopes to minimize the impact on the recreational boating community. RIDOT will reopen the channel to marine traffic each day at 6 p.m. Additionally, the channel will be open all day on Sundays. During this work, RIDOT has temporarily closed the boat ramp on Riverside Drive, on the Tiverton side of the bridge. Unlike the channel closure, the ramp will be closed 24 hours a day. During this first phase of demolition, RIDOT is removing approximately 6.2 million lbs. of steel and 2,700 cu. yds. of concrete across 17 spans between the bridge's piers. The project is on time and on budget, with final completion scheduled for Summer 2018. For more information, visit dot.ri.gov.